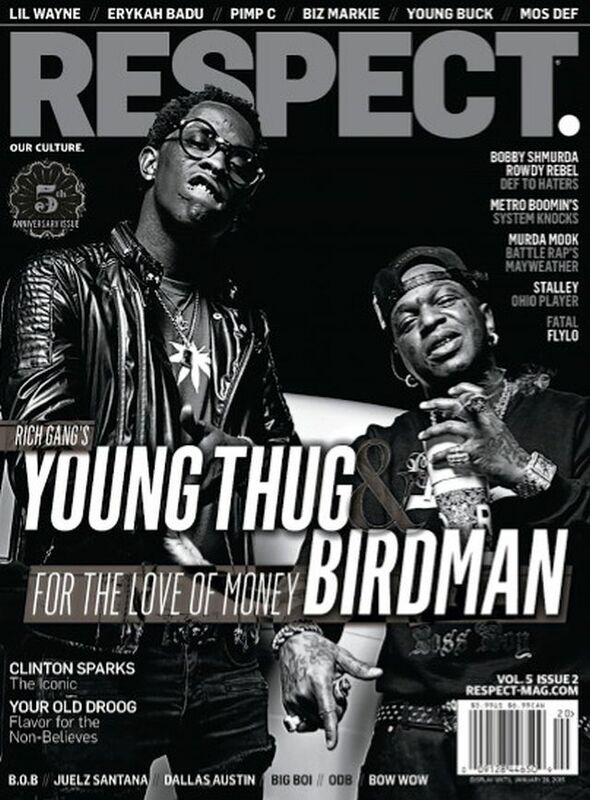 Birdman & Young Thug Cover RESPECT. | RESPECT. Birdman & Young Thug Cover RESPECT. We are proud to announce that Birdman and Young Thug are the cover boys of our latest issue! As the two MCs continue their rise as kings of the rap game we caught up with them for an exclusive interview and photo-shoot. Visit your newsstands and bookstores November 2nd and buy a copy, read it, tweet about it, frame it. Let us know what you think about the issue in the comments section!